I KNOW you are still wrapping presents, you are, YES you are. 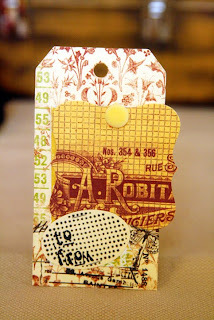 I LOVE tags, I just do, all kinds. 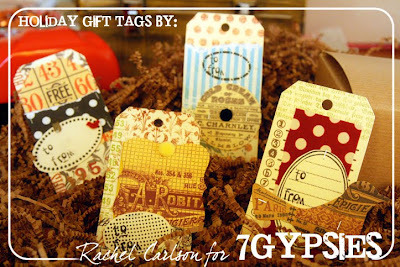 7 Gypsies makes it so easy to alter an already printed tag for some vintage holiday paper packaging. OR you can have them on standby for those last minute gifts you need to give the doctor, the mailman, the milk delivery guy, etc. 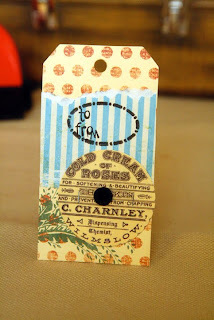 I used a lot of scraps for these tags but also some staple products that you should have on hand for these types of projects. 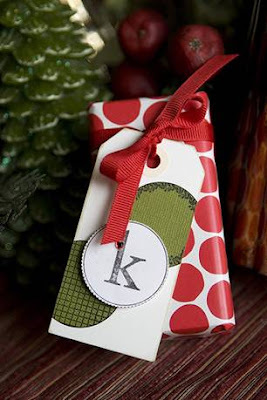 The monogram set is just PERFECT for unifying present tags and keeping them clean and simple at the same time. 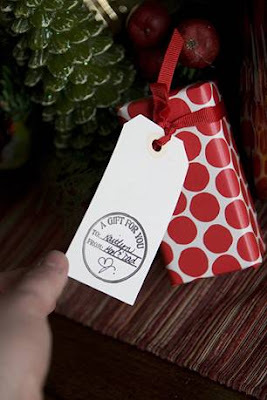 AND the kids will know exactly who’s present is who’s as soon as they see their initial! Such wonderful ideas, no one would want to get rid of these tags for sure. 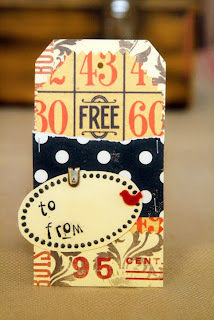 I think I'm starting to like making tags as much as I like make artist trading cards! I am so loving your blog, and glad i found you!! Do you have a bird punch like the one in your pic? or did you hand cut it? That bird is in the package of vintage tags. 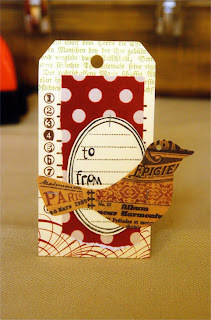 If you look below the pictures under supplies there is a link for Shaped vintage look tags. Click on that link and it will show you the tags.